This project from long time Drupal core contributor Nathan Haug popped up on Twitter this week. From the README “Backdrop is a fork of Drupal. It is an experiment in preserving the legacy audience of developers who value ease of use and ease of learning over architectural flexibility.” This is very interesting to put it lightly. It’s Time To Meet The Candidates! Here’s your chance to meet the Drupal Association board candidates and learn a bit more about them. Take a look at the new Drupal.org QA site. You Heard it First: Acquia Cloud Free Now Available. We’ve made our kickass Drupal development platform available for free. This isn’t your average sandbox. 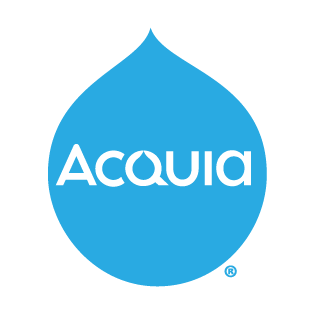 Acquia Cloud Free brings together all the “must haves” (like separate dev and stage environments) and “nice-to-haves” (like code testing tools and more). Sign up now to test before you invest! Jacqueline Torres explains the process that the Drupal Association uses when picking DrupalCon locations. Greg Dunlap continues his post on writing a Views query plugin. Dries addresses the reasoning behind the major shift to OOP in Drupal. It's worth reading whether you have been following Drupal 8's development or you are a causual observor. Lee Rowlands shares his slides and audio from his talk at a recent Drupal Melbourne meetup. Yeah, I did a webinar. In this video, the latest in the Mediacurrent series covering Drupal 8 I walk through building content types and Views in Drupal 8. The new Configuration Management System is also covered. Liran Tal points to the great resources that are Drupal’s change records. Why Are We Using Annotations In Drupal 8? And, Why YAML? Chx(Károly Négyesii) expands on Dries post about D8’s Architectural changes. Damien McKenna provides a sane voice in the face of a lot of panic surrounding Drupal contributors. In this video Steve Burge explains Drupal 8 from a end user’s perspective. This was filmed at the the Atlanta Drupal User’s Group. A collection of great modules from Mediacurrent’s Kevin Basarab. Carwin Young introduces us to Semantic Fields, a module that helps clean up Drupal’s field markup. September 23rd - 27th in Prague, Czech Republic. October 19th, 2013 in Atlanta. I’m really looking forward to this one. Be sure and register before it fills up. Interested in working with an awesome group of people who have a ton of experience, knowledge, and passion? Phase2 is looking for an experienced Drupal Developer with experience in developing innovative web applications and custom web applications.